Samsung has released the official introduction of the new Samsung Galaxy S8 and S8+, set to be released on April 21 and with pre-orders set to begin on March 30. “We live our lives through our phones. They’re now our screens of choice to enjoy everything from TV shows to mind-blowing games. But smartphones still look the same as they did a decade ago. 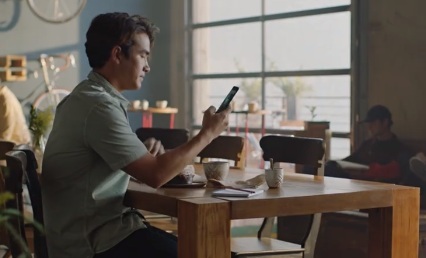 Until Now.” – says the voiceover at the beginning of the video, showcasing the phone’s most important features, such as infinity display, providing users with an incredible full screen experience thanks to the bezel-less, full-frontal edge-to-edge screen created by the smartphone. The Galaxy S8 also presents a whole new way to interact with your phone – Bixby, which is a new intelligent interface on Samsung’s devices. Bixby gets smarter and more intuitive with every use and if you find something you like, Bixby analyzes it and provides information without having to type a single word. Bixby evolves as it learns your routine, so you’ll have the right content just when you need it. Bixby also gives you information about what you’re looking at, and will recommend places to go, reveals the manufacturer. Another important aspect mentioned in the introduction is the ability to unlock the new Samsung with one finger or even with your face, and secure your most important files with your eyes. Samsung DeX provides you a PC-like experience right from your phone. Regarding the camera, Samsung states that it’s even better. It always focuses on your face, so you get perfect selfies every time. It also takes sharp beautiful pictures in low light and now it’s even easier to zoom in. And of course, the Galaxy S8 is still water-resistant, so water doesn’t get in the way of your day. The new Galaxy S8 connects you to a new world of experiences by pairing with the Gear VR with Controller or the new Gear 360. Samsung states that the Galaxy S8 will take you beyond the limits of any phone you’ve ever known before and invites you to unbox your phone.